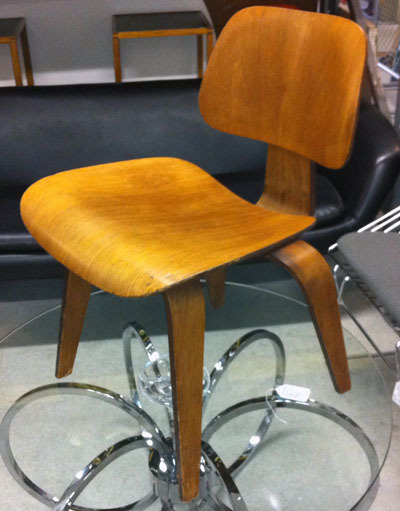 A matched Pair (pics don’t show this well) of Herman Miller DCW chairs designed by Charles Eames. circa 1950. 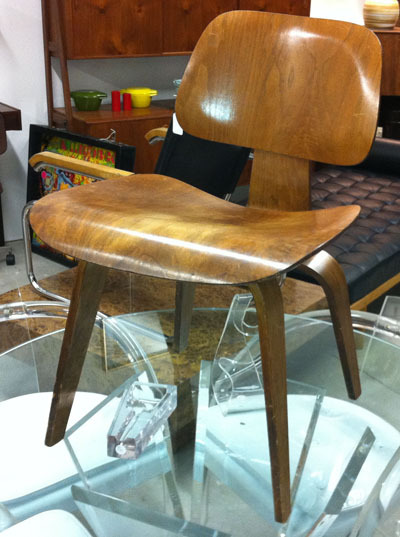 These original walnut veneer chairs are in excellent condition. DCW is stamped on the underside and one chair retains a partial foil label.